PlayPower™ - PICASSO MEETS EINSTEIN! You don't have to be Einstein to teach math or Picasso to get children excited about art. 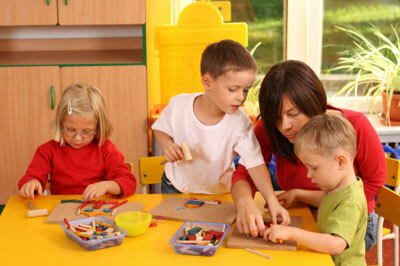 Young children learn math and science concepts everyday as they play and explore the world around them. 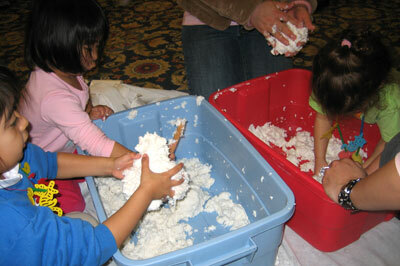 Find out effective ways to make children's discoveries come alive through visual, hands-on, sensory art experiences. Demonstrate methods, materials, resources, practices, and procedures of teaching math and science in early childhood settings. Children are naturally curious--science and math foster that curiosity. Teachers need to capitalize on the child's innate curiosity as they listen to their ideas and observe what they are exploring in their play. 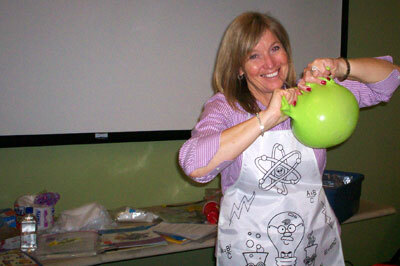 Math and science are everywhere in the classroom. As early childhood teachers, we need to learn to seize these teaching and learning opportunities, and to let children know that you value their discoveries and ideas by sharing them with other children and adults. In addition to acting on children's discoveries, there are many ways you can promote math and science skill development in your learning centers. As children engage in the activities, you'll discover that math and science activities foster what they learn (content knowledge) and how they learn it (process skills). The test-driven practices currently reemerging produce a widespread use of inappropriate instructional practices with young children. Mathematics for preschoolers has been taught as "pre-math," apparently under the assumption that math learning begins only with addition and subtraction in the primary grades. It has also been taught in both preschool and in the primary grades as rote memory material using abstract paper and pencil activities. Science has been largely ignored with the excuse that teaching "the basics" precluded allowing time for science. This workshop is designed to counteract these developments and bring to the attention of the early childhood educator the interrelatedness of math and science and the necessity of providing young children with opportunities to explore concretely these domains of early concept learning. 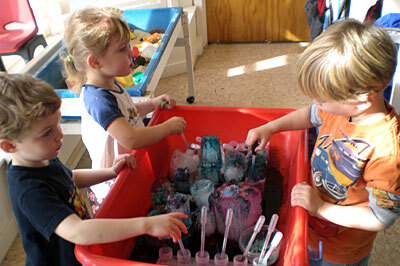 Further integration will be stressed with learning across the curriculum in all learning centers or interest areas of the classroom; dramatic play, blocks, music and movement, cooking, art, and the sensory or sand and water table.